Kevin Hassett, chairman of the White House Council of Economic Advisers, speaks to reporters outside the White House in Washington, Jan. 3, 2019. WASHINGTON — The White House’s top economist on Wednesday said the economy could completely stall in the first three months of 2019 if the government shutdown does not end, drawing a sharp contrast with the rosy economic picture President Donald Trump has tried to paint during the month-long funding lapse. 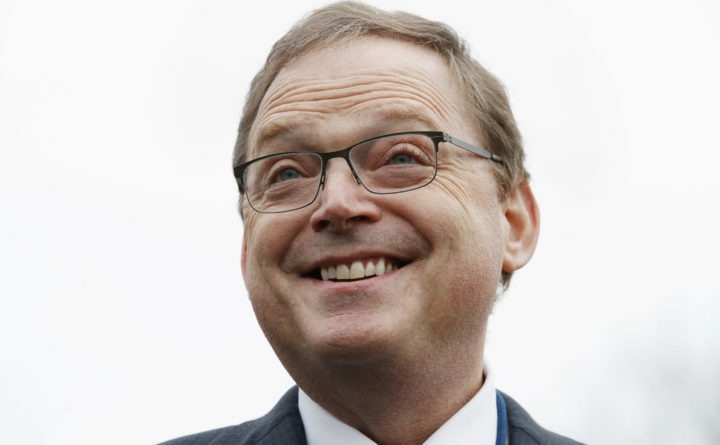 White House Council of Economic Advisers Chairman Kevin Hassett, in a CNN interview, was asked if the economy’s growth rate for the first quarter of the year could fall to 0 percent if policymakers don’t step in soon. It represented the most dire forecast yet from a Trump administration official on the shutdown’s economic toll. The United States has long been the largest economy in the world, though it’s unclear what precise calculation he was referring to in his post. And there are also thousands of government contractors who are also not being paid, and those businesses are also having to adjust their spending. On top of this, the University of Michigan recently reported that consumer confidence has fallen to its lowest level of Trump’s presidency. Housing sales have also begun to slump, in a sign that economic anxiety is spreading. Hassett also predicted that reopening the government would lead to a “humongous” growth rate in the second quarter, though Trump has said he would be happy to keep the government shutdown for months or years.